Try our free online consultation! Take a photo of the concerned area and share the desired result with us through the form in our webpage. We will call you back! If you are keen on plastic surgery take the time to see why so many people chose our premium clinic for plastic and cosmetic surgery. At CosmeticDirect you contact us surgeons directly and discuss your needs. No unqualified third parties. 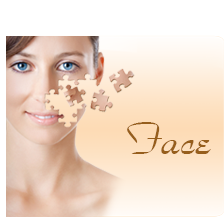 This way you get professional advice regarding cosmetic surgery and save on extra agency fees. Our team members are sought after board-certified plastic / cosmetic surgeons. We are based in one the largest and most modern cosmetic surgery units in the country. The unit is ISO certified & is housed in a large city hospital. Budapest (known for its dentistry and cosmetic surgery) is located in the heart of Europe with easy reach from all European capitals. Consultation can be arranged in the UK if necessary. If you think cosmetic surgery could help you finally achieve the image you desire then we can offer you a unique service. I'm a young, a bit plump girl, but my breasts were pretty big so I looked like a mother with three children, besides it was more and more painful for my back to carry the weight. I was told by many that I will regret the breast reduction surgery and that other women always want to have bigger breasts. Well, I haven't regret it ever since, and I'm very grateful to CosmeticDirect. 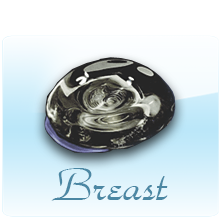 The treatment was excellent, and my breasts are beautiful. I've got my self confidence back and finally I feel like a normal woman. Last updated: 26 April, 2019.